Something has caused you to sell your house quickly. Or, maybe you just want a quick and easy sale but don’t have any specific urgency. 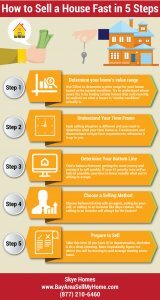 Follow along closely – if you want a quick sale you’ll need to take a few minutes to read this guide. How much am I willing to sell my house for? There may be two different answers. We’ll come back to that… but first, let’s figure out what the house may be worth. 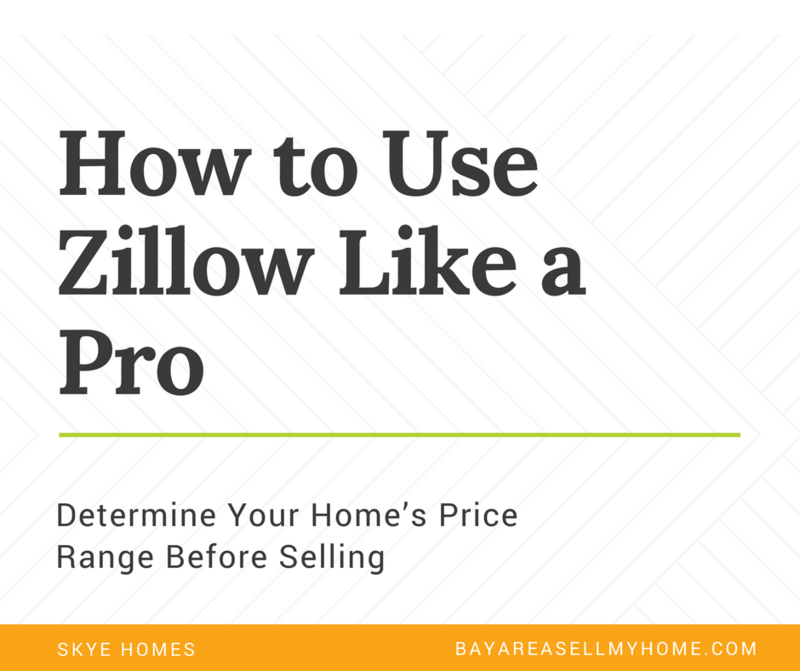 We recently wrote a post on how to use Zillow like a pro to determine a price range for your house. There isn’t one set price for any home. After you look up your house and compare it to a few similar houses that recently sold (comps), try to understand the range of what your house could sell for. Determine where yours fits in with the others and keep in mind that estimating the value of a home is more of an art than a science and even some experienced real estate professionals don’t do this well. 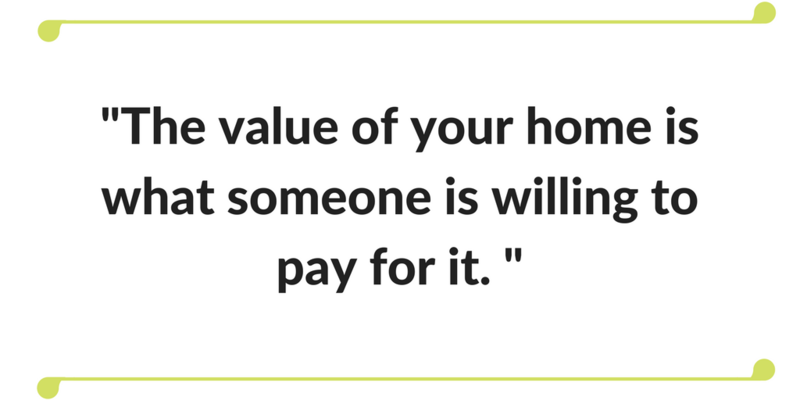 The value of your home is what someone is willing to pay for it. Think about that for a second. It’s easy to accidentally compare your house to the nicest one on the block. Is your house the second nicest? If so, use that first one as a benchmark. If not, compare your home to the ones that are in similar condition, are nearby, sold within the last 3-6 months, and are alike in size and floor plan. This is when it’s time to decide your bottom line. You may not have to sell at your lowest price, but the name of the game here is finding a balance between getting the highest profit and pricing it to sell quickly. To find that balance you have to know your bottom line and work your way up. Is it potentially worth more than your mortgage balance? Are you past-due on your mortgage, and if so, by how much? How much money would you like to walk away with? Are there any title liens that need to be paid off? In general, the hotter the market, the easier it is to get a high price while trying to sell quickly. Real estate is a very “local” business. Demand varies not only city to city, but neighborhood to neighborhood and even adjacent subdivisions can have drastically different demand. Going back to the first two questions we asked (about your home’s price range and what you’re willing to sell it for), try to understand all of the variables, from your neighborhood’s appeal, the condition of the home, and your current situation. You should now be able to come up with your bottom line. Many experts (including us) believe that we are near the peak of a real estate cycle. The majority of homeowners have home equity these days, giving them flexibility in a sale. If you think you owe more than the home can be sold for, and you are facing financial difficulty, you may have to do a short sale. This is a unique situation that slows down the sales process. If you have equity the process is much easier. If your home is “free and clear” of any liens, such as mortgages, tax liens, and judgments, you have complete control to determine your bottom line. If you are not sure if you have liens, call a local title company and they can research it for you (there may be a small fee). Selling with tenants poses unique issues. We’ve covered that in detail here and here, but the main thing to keep in mind is that selling on the market is very difficult with tenants in the home. The vast majority of home buyers plan to occupy the home and they do not want to evict another family in order to live there. Selling a home quickly with tenants can usually only be done by selling to an investor who does not plan to occupy it. At this stage you want to understand the different ways to sell and decide which one will work best for you. 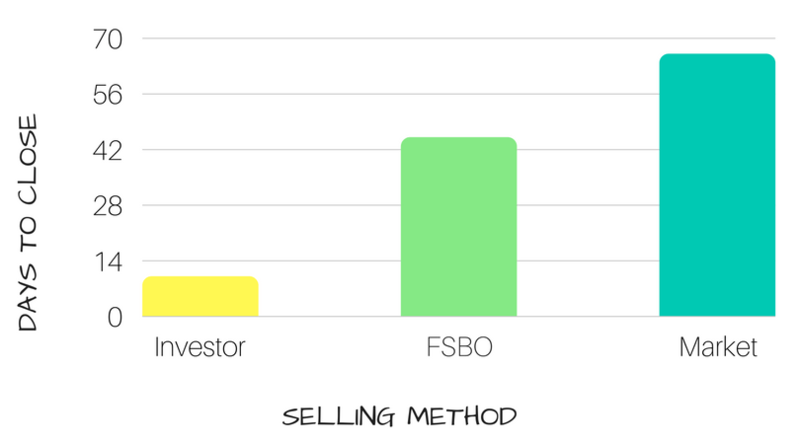 We’ll discuss the three most common selling methods. Normally, working with an agent will take a bit longer than a few weeks. There are disclosures to be signed, photos to be taken, and then the property needs to be listed. The two pieces that slow down the process are waiting for buyers, and waiting for buyers’ loans to close. Some Realtors can help speed this up. Remember, they get paid commission and have incentive to sell your price for as much as possible (which is good), so you need to explain that your priority is a fast sale and that the home needs to be priced accordingly. Find a Realtor who understands this. There are many good Realtors out there – we recommend browsing Yelp reviews or asking around for a referral. A few Realtors conveniently have buyers lined up, but most Realtors would need to put the home on the market using the Multiple Listing Service (MLS) in order to attract buyers. In a regular sale situation that is what you might want: as many people seeing your wonderful home as possible. The downside with advertising to “occupant buyers” is that they usually need to get a loan, and that adds another 30 days from the time you accept their offer. Since you need to sell the home quickly, this option proves difficult. If your home needs major repairs before selling, the financing requirement becomes an issue again since many lenders will not put a loan on a house that needs major repairs. You can ask the Realtor if they have any investors who may be interested, but if you’re just looking for an investor, you don’t need a Realtor. Pros: Might be able to get a higher price from occupant buyers. Cons: Isn’t the fastest way to sell. Compare the differences between working with an investor and listing with an agent. Doing a “For Sale By Owner,” aka to sell a house by yourself, makes sense when you have a lot of time and are trying to maximize your profit in a hot market. You might be able to save some commission while paying for other listing fees, but as Fox Business points out, you need to qualify buyers on your own, handle phone calls from agents (who are representing buyers), and be comfortable with the paperwork and process. Pros: Lower cost of selling. Cons: No guarantee your home will sell quickly, requires more effort and knowledge, and may not net any higher sales price without an agent who can properly market the home. According to the National Association of Realtors, the typical FSBO home sold for $185,000 compared to $240,000 for agent-assisted home sales. It might make sense to skip the market and go straight to a cash buyer, but hey, we’re biased! 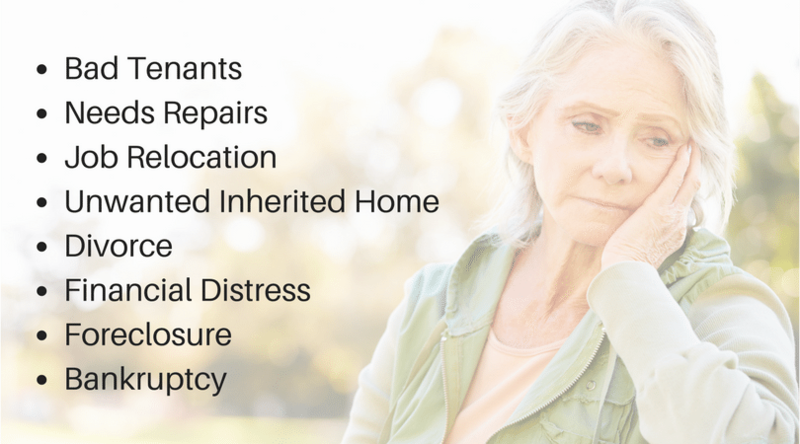 An investor can buy your home with cash and any condition. This is truly the fastest way to sell your home. Pros: Fastest way to sell, flexible with time frame, fewer parties involved, no fees/commission, sell your house as-is, with tenants, or full of junk. Cons: May have to accept a lower price for the convenience of selling in the current condition and need to find a reputable buyer. Some people ask “do I have to sell my house at a discount in order to sell it fast?” It depends on the conditions of your local market, how fast you need to sell, and the condition of your home. Keep in mind that buyers do not want to pay top dollar for something that is worn down or feels “used.” This goes for cars, clothing, furniture, and yes, houses. As a seller, be realistic about the condition of your home and how it compares to renovated houses in your neighborhood so that buyers take you seriously. They want to know they are getting a good value for their money. We’re going to provide you some valuable and cost-effective tips for getting the most out of your home, if you so desire, but these steps are completely optional, because if you truly need a fast sale, there’s no time for this! It’s still possible to sell an ugly home in less than two weeks. To depersonalize your home, pack up your photos, your valuables, and anything else that may be private or personal. You want buyers to be able to visualize the house as their home. It is much harder to do that when pictures of Uncle Frank are in every room. If your house is in bad shape or completely filled with belongings you may want to hire an estate sale company, or a uHaul truck to bring the items to the Salvation Army. It is also easy to find junk haulers on Craigslist who will charge low fees to remove unwanted items. If you’re able to get that far, spend a few hours doing a deep cleaning. Don’t be afraid to ask a friend or relative for help. If you want to hire a professional, there are many cleaning companies who can do the job for around $100. Yelp is a great place to find a professional (and insured) cleaning company. Now that your home is 3D, it is time to decide where you will move. 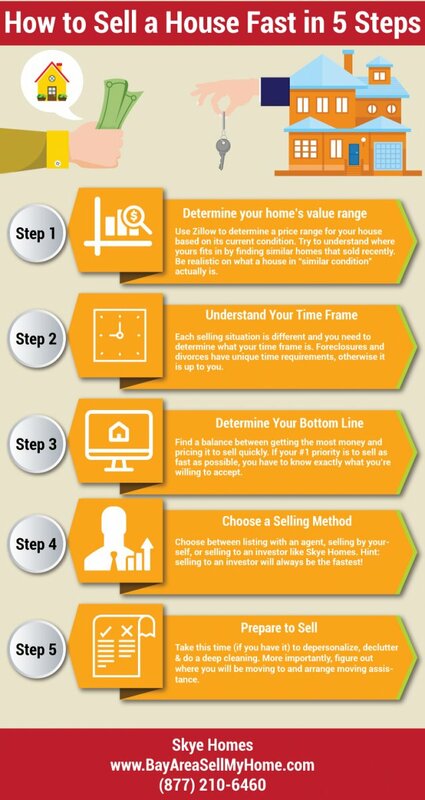 Going back to choosing the selling method above, this step depends on how you will sell your home. Selling on the market gives you more time to decide, but you need to prepare to be out by the time the sale closes. Selling a house to an investor gives you more flexibility since they can close on your time frame, especially on the shorter side. Don’t forget to arrange help with moving. Here at Skye Homes, we frequently connect our sellers with trusted partners who can help with packing and moving. One less thing you have to worry about. If you’re ready for a free, no-obligation and no-hassle offer from an investor, contact us at the number above or complete the form below. We are professional home buyers in the Bay Area and we buy houses in any condition. If you would like us to review your property, call us toll-free at (877) 210-6460. We can help you determine your best option for you whether it’s listing on the market or selling to a house buyer like us. Are “We Buy Houses for Cash” Companies Credible?